Western SMT was the largest operator of Alexander Y-Type Leopards in Britain. 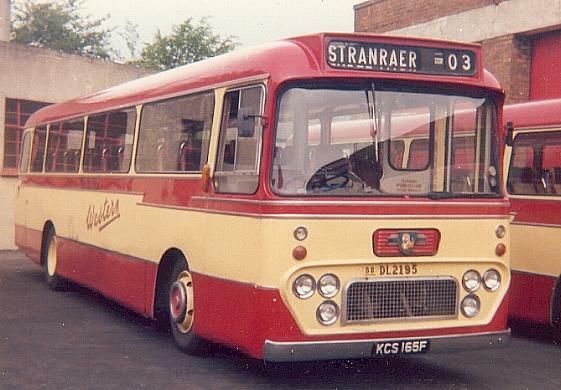 It bought over 500 examples between 1963 and 1980, but now only six remain in service at Stranraer Depot in South West Scotland. These vehicles represent the end of an association that has lasted nearly forty years. See them soon, before their final transfer to infinity. Top Left: 661 (GCS61V) and 671 (TSJ71S) at Stranraer Depot at sunset on Christmas Eve 2000. Top Right: 687 (WFS138W) and 697 (BSJ917T) along with Volvo/Plaxtons 175 (VCS376) and 183 (283URB) at Stranraer Depot in December 2000. Bottom Left: 695 (BSJ895T) and 686 (XMS422Y) [already departed] at Stranraer Depot in December 1998. 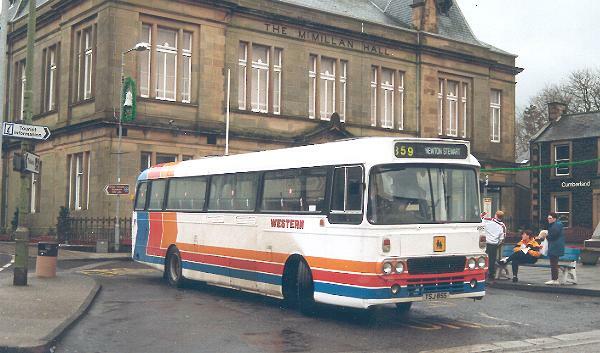 Bottom right: 685 (TSJ85S) at Dashwood Square in Newton Stewart on the (359) service from Girvan in December 1998. DL2195 (KCS165F) at Stranraer Depot in May 1976. 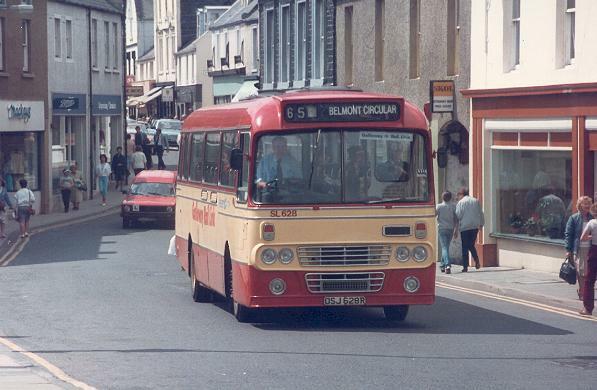 SL628 (OSJ628R) on the Stranraer Town Service in July 1984. Stranraer has had representatives of all batches of Western SMT Y-Type Leopards apart from OAG-H and RAG-M vehicles. None of the current selection started their lives at Stranraer. TSJ71S was new at Kilmarnock, TSJ85S at Ayr, BSJ895T at Paisley, BSJ917T at Inchinnan and GCS61V at Thornliebank (then Dumfries). 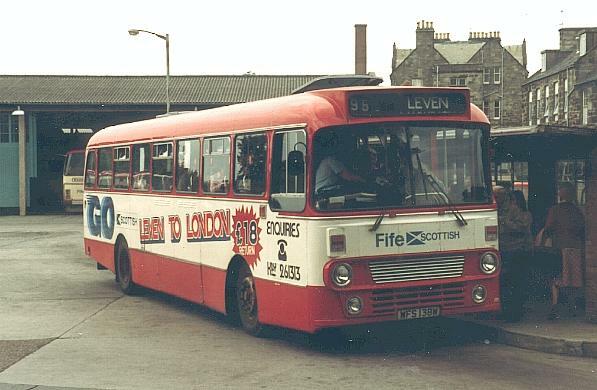 WFS138W originated with Fife, where it is seen (left) as their FPE138 from Aberhill Depot on the (95) service from Dundee to Leven in St.Andrews Bus Station in July 1983.